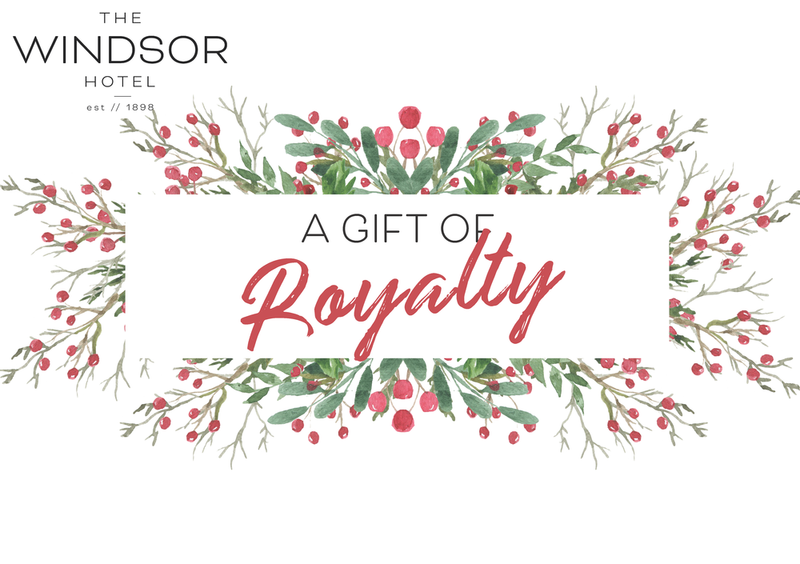 Give the best gift of all - a voucher to The Windsor Hotel! Vouchers can be organised for postage or pick up at the venue. Include a personalised message for your recipient. This information will be kept confidential. if you would prefer to provide your CC details over the phone or in person please leave this field blank. Thank you! 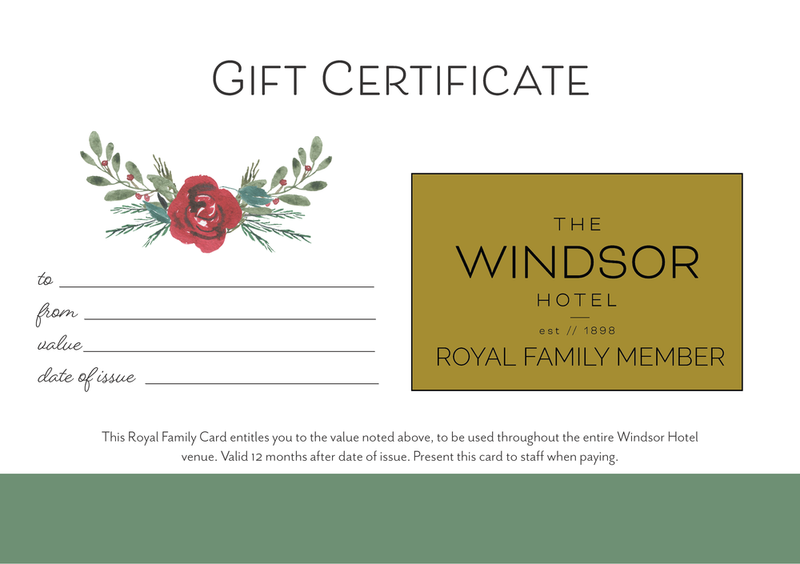 Someone will be in contact to confirm your gift voucher purchase. This form is not a payment gateway. You will not have any money deducted on your card until it is processed by our admin team.